This site shares the experiences of people who attend Universal Medicine presentations and who have felt the benefits of an approach to their healthcare that combines Western Medicine and Esoteric Medicine. Some of them are healthcare professionals including Western trained doctors, dentists, nurses, physiotherapists etc who have all come to realise that there is much more to medicine, health, wellbeing, illness, disease and healing than is currently offered via Western Medicine alone. Esoteric Medicine is truly complementary to Western Medicine and is in no way alternative to it. It endorses and supports the work of Western Medicine, whilst also offering an expansion to the way we understand illness and disease by bringing in the energetic understandings. These understandings are based on the Ageless Wisdom teachings that combine science, religion and philosophy and which provide a universal way to understand the human condition, illness and disease and healing, based on who we are energetically. They fundamentally present that the way we live can lead to illness and disease or health and harmony, and that we have much more responsibility for our health than we care to acknowledge. They are empowering and liberating, as we come to realise we can heal the root cause of our conditions, return to who we truly are and live a life predominantly free from suffering with more love, joy, harmony and true wellbeing than we perhaps even imagined was possible. A key understanding is that the essence of every human being is love – but we don’t live in ways that are truly caring and loving for the body – hence we end up with ailments as a result of our errant ways of living. However, the good news is that we can change those ways and experience a different outcome, where issues and conditions are understood and dealt with in a way that is healing and healthy. Articles in the news have made claims concerning Serge Benhayon, Universal Medicine and esoteric healing that are simply false and misrepresentative. This is not about defending Serge and Universal Medicine but about letting the truth be known. We all work at some level in healthcare and we all care deeply about the health of humanity. Despite all the advances in the understanding of the human body, physiology, illness, disease, nutrition, pharmacology etc and the amazing technology available to us today, we are aware that there remains unanswered questions regarding the health status of humanity that Western Medicine at this time does not appear to have full answers for. The rising levels of obesity and diabetes (diabesity), mental ill health and a cancer rate of 1 in 3 are just a few examples that concern us greatly. Thus we have been prepared to look outside mainstream medicine, to explore areas that we recognise might be considered unconventional, or a bit weird by some but which we have come to know and experience for ourselves as resulting in true and lasting health benefits in our own lives. Whilst more is needed to provide the evidence base that science calls for, we all have the evidence of our own lives and countless others. We know that will not wash in the scientific community but for those who need it we feel confident that the scientific support will come, the evidence will come and in many ways some of it is here already. The fields of psychoneuroimmunology, psychosomatic medicine, epigenetics, neuroscience and neurocardiology are some areas that do have ongoing research that lend support to the esoteric understandings and these may be explored in more detail through this and other blogs The Soulful Doctor. However, that is for a later date. Universal Medicine clinics and practitioners do not make nor claim to make medical diagnoses. The esoteric healing modalities are not claimed to cure cancer or necessarily prevent it, be that breast, ovary or other cancer, as there is a much bigger picture to consider. The emphasis in esoteric healing is about the quality of our daily living, not just having sessions and there is much more to consider. Esoteric students are aware that having sessions contributes to and forms part of healing but are by no means the whole picture. Esoteric breast massage is ONLY performed by women for women. Serge and his sons Michael and Curtis have NEVER performed esoteric breast massage. Serge Benhayon supports the medical approach to the management of breast cancer that includes surgery, chemotherapy and radiotherapy. A number of his clients are patients undergoing chemotherapy for such conditions. Craniosacral pulse readings are not a test for cancer and are not used to diagnose cancer. For us, the truth of the esoteric teachings has become self-evident, although we appreciate that for many people including the medical profession it is at the first stage. However it is worth noting that this is only if the esoteric aspect is looked at in a cursory or sensationalist way as has recently been witnessed in the one-sided headline grabbing ‘cult’ press of late. As healthcare workers the most useful insight we have introduced since attending Universal Medicine courses is greater self-responsibility for our lifestyle choices which in turn has resulted in greater health and well-being for us. These are simple changes that most people know make sense but which we often struggle to implement – like eating a healthy diet, going to bed early, not drinking alcohol, in fact taking care of the body in every way. The esoteric understandings helped us to realize why we previously struggled with making these common-sense changes and helped us to implement them in our lives. We understand that some of these choices may seem extreme, like cutting out dairy, gluten, caffeine, and excess sugar but we do so based not on a belief, or an instruction by Serge, but on how these substances affect and feel in our bodies, as something that can be felt and known. 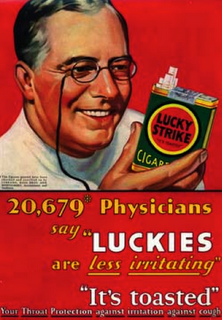 The medical profession and people at large could now say it is self-evident that smoking is bad for you … yet it wasn’t that long ago when doctors were being used in advertisements promoting cigarettes – something that today would be unthinkable. So perhaps it is worth pondering what in 50 years will be self-evidently harming to the body, supported by medical research, which today is considered ‘normal’, ‘ok’ or even healthy? Could it be Alcohol? Gluten? Dairy? Excess sugar? Whilst we support the use of medical research and evidence based medicine, we are also aware that for us personally, these understandings do not require research to know the harm they cause in our bodies, for example, bloating with gluten or sinus issues with dairy. One of the core esoteric teachings is that ‘the body is the marker of truth’, in other words, it is through listening to the body and its responses to what we eat or other choices we can be guided to a more self-caring way of living. It’s a great quote by Arthur Schopenhauer “All truth passes through three stages. First it is ridiculed. Second it is violently opposed. Third it is accepted as being self-evident.” To me it shows the difference between beliefs and truth and how we can hold on to beliefs as a form of security (for eg., the flat earth theory), and even be willing to kill for them (such as beliefs held by religious fundamentalists). The truth is just there, and it’s also within all of us. A very down to earth article which tells the truth of what Universal Medicine is and what it is not. The quote from Arthur Schopenhauer tells it all really. When we look back we used to smoke in the cinema and on aeroplanes but that would be unthinkable now – roll on another fifty years and see where we are then with the foods and substances we champion today. When I was in Japan over 20 years ago patients on IV’s were smoking in hospitals. The combination of Western and Esoteric Medicine is without a doubt a marriage that brings about true healing. What is it about truth and the body we don’t want to listen to or even talk about? Truth and the body are one and the same. So, if we chose to listen to our body we would feel The Truth, our choices, and where we are at. A powerful and refreshing passage to read thank you… this discerningly collaborative approach by health professionals with a body-centred focus for the patient is a very sensible way forward in health care. Healthy lifestyle choices are very well known and there are hundreds if not thousands of guides, blogs, videos, pictures, campaigns etc promoting how to eat healthy, exercise more etc. But what the esoteric presentations of Universal Medicine bring is an understanding of why these choices are worth making, why we are worth making them and the quality which we can make them in. This approach brings in the one life, rather than keeping it boxed into eating healthy but not exercising, for example. The more we bring a more gentle, tender and caring quality to one area, it ripples into all others. What a fantastic founding blog to set the tone of one of the best websites on healthcare and medicine available today. This site is ahead of its time or better said it is the future of healthcare, healthcare that hands responsibility back to the patient while at the same time remaining fully committed to the health and well-being of the patient. Esoteric Medicine is an essential part of this, as mentioned in this blog it can help with changing neglectful behaviours that are known to be detrimental to health. This is significant in an unprecedented era of lifestyle diseases. I for one do not mind being on the fringes of medicine and health and wellbeing by eliminating alcohol, caffeine, dairy, gluten and sugar out of my diet. I don’t need to wait for a study to finally prove beyond a doubt what these substances do to the human body. My own body has already told me all the answers I need to know and I will leave time to do the rest. Well said and very practically explained. These principles I would like to introduce to everyone! This ‘About’ is very about everything – the truth, and our body knows it. I love how medicine is being referred to the body, and then secondly that our body knows the truth and therefore knows what to for example eat and not to eat. It is the impulse and signals we live upon that makes the difference. Therefore listening to our body or what our mind tell us can be crucial in difference and so has a different effect on our body. The blogs on this site bring home the fact that life itself is medicine and that the two are forever linked and responsive to each other. Therefore it is crucial to start to become aware of and feel our bodies, otherwise how else can we begin to know what is healing us or harming us? This is one of my favorite blogs as it connects medicine to the way we are living. This is very practical and fun to do and the blogs on this site are deeply inspirational. The evidence of lived experience to me is very valid as our bodies can not lie. New ideas are always hard to accept as they often mean we have to leave behind beliefs we hold dear. The ever growing number of the student body will spread the new way of living more surely than the negative press can suppress it. This about section pretty much says it all.. So many good points. Especially the part about what Arthur Schopenhauer presented in regards to truth. You can see it in the different stages of ridicule against Serge Benhayon and Universal Medicine… The Universal Medicine studies and modalities have a profound impact on everyone involved, that has not yet been backed up by scientific reports and evidence based research…but we have the evidence in our own bodies. That’s a great observation by Arthur Schopenhauer, “All truth passes through three stages. First it is ridiculed. Second it is violently opposed. Third it is accepted as being self-evident.” My feeling is we’re into the second stage. However there is no denying what we experience in our own bodies if we care to take notice, it’s simply a matter of wanting to know what’s really going on. I love that quote also Rosanna, and it’s amazing to observe how truth has been deliberately mis-construed and mis-represented so it can be ridiculed, and how as you note we then have it violently opposed often by those who know the truth of it but don’t want to make the changes they know they truth may call for. But ultimately truth wins out, when we stop fighting it, it’s so self evident we wonder what we were fighting. And so it will be with esoteric medicine, it’s common sense practical and a huge support to western medicine as many of the testimonies on this site show. And one day it will be so normal as to be non-reportable, and until then there is this fabulous site which presents how it can be for those who are interested in checking it out for themselves. It always comes back to the choices we choose to make and how we choose to live our lives. It just makes simple sense, the evidence of our choices are in how the body is. And the body does respond to self-care and self-love. That is exactly what I felt to say too Joshua. Research is not needed if what we hold as our marker of truth is our body. It experiences all my choices and therefore what the results are can be easily seen and felt in my body. Thanks for opening up this site and making these amazing stories available to everyone. Universal Medicine has answers to so many questions that at least need to be considered. We as a society are really running out of time and out of resources and are on the brink of collapsing under the onslaught of disease, exhaustion and general unhappiness. We really need to explore what is behind such an amazing success story as Universal Medicine can provide. Anyone who has ever before met Serge Benhayon or been involved with any Universal Medicine events, or experienced esoteric healing will have felt that it is in no way what so ever anti-medicine. It’s fantastic that this site is available for the truth to be expressed, because to date the newspapers or journals are not willing to publish any truth we have submitted. The truth is that esoteric healing and the teachings of Universal Medicine completely support modern medicine, and offer another piece of the puzzle to truly support humanity through a time when health care cannot keep up with the rise in illness and disease. This is a really well written piece that covers what Universal Medicine is and is not about. Once the teaching ‘the body is the marker of truth’ is understood, it is an amazing tool to achieving a greater level of health. Also understanding that everything we do is either good medicine or bad medicine. Yesterday was Christmas day and although I ate nothing with dairy or gluten in it, I ate too much, which in years gone by this for me would have been acceptable, but now I really felt how bloated and unwell this made me feel. So today for me that was bad medicine and I learnt my lesson this time. “The body is the marker of truth”. At work, on my meal break, I may be eating healthy foods but if I eat in a hurry, or feel anxious or am thinking of so many things I need to do, I get heartburn, indigestion or feel nauseous. And if I overeat I feel bloated, heavy, tired and sluggish. This is indeed bad medicine, which is something I am needing to be mindful of when I eat. A most important point to note that the esoteric can be made to look sensational, as that is the headline grabbing way of our times, but its core principles are steeped in common sense that become very hard to ignore when looked at with rationale. From a medical point of view this rationale has the potential to save a great many lives and a lot of suffering through simple choices of daily living. I love the point you raise here Stephen, the esoteric, the miracle that it is, is actually innate within ourselves. And we could even say is the normal, we have just deviated so far from it, that coming back we can feel the monumental difference it brings to life. I love the point you make here, it’s so easy to manipulate and present something as sensationalist, especially when you start from the premise of opposing it and wanting to find a way to denigrate it; but nothing takes away from the truth it presents, and it’s not going anyway, that’s the thing about truth. Great point Stephen. The way our media currently operates ‘common sense’ is never going to be a headline partly because it is just so simple, normal and logical and not bizarre enough and partly because it asks us all to take responsibility for how we live and treat our bodies. Something that currently not that many people really are willing to do let alone have it in their faces on TV or newspapers. This is a great site and I have enjoyed reading people’s experience’s. To say that Serge Benhayon instructs people what they can eat is utterly ridiculous and we have to question the journalists involved for them to be perpetuating stories like this. Many years ago after several instances of feeling badly let down by conventional medicine and several doctors I had visited, I began to look elsewhere for my healing. My search went far and wide and I dabbled in all things “alternative” but the healing that I was seeking was ever elusive and in some cases my health issues became worse. My doctor was last on the list to visit and I almost felt a sense of pride that I didn’t need to see her. Then 10 years ago I found my way to my first Universal Medicine workshop and the common sense and the deep love for humanity that Serge Benhayon was presenting began to re-awaken me to the important part that the medical profession had to play in diagnosing and treating our ever increasing health issues. As I continued to study esoteric healing I could clearly see how treating the body as a whole, was the true way to a person’s healing, but all that the medical profession had to offer was just as important and that this marriage was the necessary union to begin to heal the ills of the world. Each have such an important part to play. I once again have my doctor at the top of my consultation list if I am experiencing an health issue, but sitting along side her in equal importance, is my esoteric healing practitioner. It is a beautiful feeling to know that I had the wisdom of both to assist through any healing that is necessary and I thank Serge Benhayon and the amazing team at Universal Medicine for bringing this awareness to a world that is sorely in need of a unified approach to healing its rapidly increasing illness and disease. Very interesting story you tell here Ingrid about how Universal Medicine actually brought you back to conventional medicine and supported you to see the benefits of combing both a conventional medicine and complementary medical approach together. Hardly the result that you would expect from a so called insular anti-medical cult is it? Yet more real evidence that the press and the detractors of Universal Medicine have go it so so wrong. Well said Andrew. Ingrid’s beautiful example of how she has come back to conventional medicine because of Universal Medicine cannot be disputed. And as you say, another piece of undeniable evidence that the detractors who are trying to condemn Universal Medicine simply don’t know what they are talking about. There it is, it is self evident, Serge Benhayon presents the simple truth which is being violently opposed, so it seems we are half way to the stage where Universal Medicine will be seen as what it is – self-evident truth. Those who attack and deride are doing so regardless of the truth. Didn’t Winston Churchill have an extraordinary way with words, and spoken with such an authority? Anyway I love how you have applied this quote to the current situation – very apt. So true- despite all the ageless wisdom brought through by Serge Benhayon for humanity to evolve, there are those who question it, abusively oppose it, however in the end truth remains truth. Spot on Loretta, truth is truth and it’s there in space for all to feel or ignore as is their choice. Thank you Ariana for sharing Winston Churchill’s quote about truth. What more is there to say but truth is truth, it is incontrovertible, and ‘in the end, there it is’. As we have seen with Serge Benhayon, malice and ignorance continue to attack him and the Ancient Wisdom Teachings he presents. At some point, everyone will come to know the truth in his words eventually. To me Universal Medicine and Serge Benhayon are great medicines, as it has helped me to relax, be more open and caring of myself. Great blog telling the truth about Universal Medicine and its practitioners. Thankyou. Yes to the marriage of esoteric medicine with conventional medicine – both being modalities that I use to my great benefit, rather than one alone, together with self-responsibility and new lifestyle choices that are constantly re-assessed. This is an amazing site to be on the internet for everyone to feel what is now on offer in the world with Medicine and Serge Benhayon and all the truth that is presented by him in a way of living that is real medicine and works with it all as a whole . Having grown up in a doctors family and been around medicine and health and feeing the responsibility we all need to take for ourselves ,and on starting to do this for myself know it to be true. As a health care provider, I discovered with the assistance of universal medicine, that it was possible to work more efficiently, think clearer, not burn out and deal with difficult situations . My job means I deal with everyones pain, sickness, real moans and groans and bleeding on a daily basis. I discovered that “If you don’t take it on, you have nothing to let go”. When I started living this I found that the end of my shift I felt the same as I did at the beginning of my shift…I felt awesome. Imagine feeling like this every single day. I do! Before unimed, I was bumped and pushed by a loveless health system that just works on numbers, speed, hurry, cutbacks, poor pay, whinging…the list is long. The list still exists and only getting worse..its time for change. Well said Matthew it is indeed time for change. The list of ‘issues’ you had with the health system would be very common for most health care workers. Many of whom have resigned themselves to believing that this is as good as it gets. But what if there was another way? Would we be really open to considering it? Would we still be open to considering it even it wasn’t a magic wand, or a magic pill, or a super-food or a new system or a solution but something as simple and as old as the hills – self-responsibility? Ouch! Could it really be that simple and that personal the answer to all our health problems? You betcha!… and read on the rest of this blog for some great examples of what this actually looks like. Thanks Matthew for your comment, it’s great that you have been able to transform your working life, that is something most people would want to know about as there is a certain acceptance (if not given-up attitude) that work will be awful and that’s why we hang out for the weekend. That’s got to take a toll on our health and wellbeing. Love your discovery also “If you don’t take it on, you have nothing to let go”.